The Hawaiian Islands are composed of eight major islands. The Big Island— also called the Island of Hawai’i or the Big I— is the largest island in the United States and most volcanically active of all Hawaiian islands. The Island owns the most active volcanoes in the world, called: the Kilauea Volcano. The Big Island offers an incredibly diverse nature with native plants, trees, insects and more. The Island also offers incredible white, black and green sand beaches, as well as beautiful rainbow coral reefs that will leave you speechless. Indulge a relaxing, wonderful yet adventurous stay at the historical Mauna Kea Beach Hotel, Hawaii’s first island resort, built by Laurance S. Rockefeller and is now an incredible 5-star hotel on the Big Island of Hawai’i. 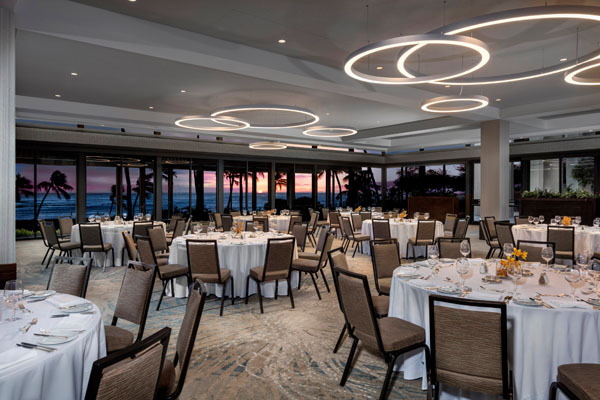 The Mauna Kea Beach Hotel, Autograph Collection is conveniently located on a beautiful white sand beach with an outstanding beachfront location and an upscale golf course. Upon arrival, you will be beautifully welcomed with a beautifully handpicked flower necklace to make you feel like home. All rooms are beautifully and carefully designed with a luxurious Hawaiian touch that has a stunning view of the ocean or the golf course with private balconies. The rooms are fully furnished, including complimentary toiletries, a hairdryer, bathrobes, and slippers. You will also have the option to read “The art of Mauna Kea,” an excellent book on the art collection of Mr. Rockefeller, which remains at your disposal if you want to learn about the History of the resort and its art. Mauna Kea Beach Hotel’s on-site restaurant, Autograph Collection, offers a daily breakfast and dinner buffet freshly made with local ingredients. You can also enjoy the Copper Bar, which provides a happy hour with a variety of delicious cocktails, as well as lunches. 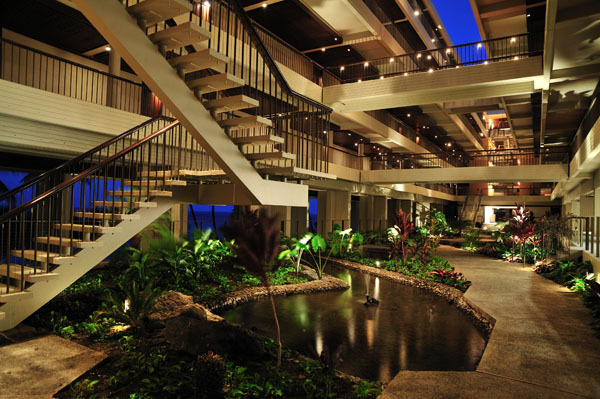 You will also have access to other restaurants located at the Westin Hapuna Beach Resort, a sister property. A shuttle bus to this property is available every day for free in the evening. The Westin Hapuna Beach Resort is newly renovated and combines a contemporary style with the lush green flora of Hawaii. The Westin Hapuna Beach Resort provides both family-friendly activities and activities and amenities just for adults. The Mauna Kea Beach Hotel also thinks about the parents with kids. You can indulge the different Hawaiian activities offered by the hotel such as spa treatment services or yoga classes. Guests can also book helicopter tours, island tours and get into the Hawaiian culture while kids can enjoy supervised activities. Additionally, there are 13 tennis courts on site. The on-site tour desk can help arrange tours and excursions daily. Noted also that their Hawaiian golf resort course, created in 1964, by Robert Trent Jones Sr., is award-winning and has set the standard for Hawaii golf for years now. Whatever you are looking for a luxurious, a trip with the girls, a couple or even a family getaway, The Mauna Kea Beach Hotel is at your disposal and will be pleased to offer you a unique and special itinerary especially made upon your request.